It’s here at last! The latest addition to the Marvel Cinematic Universe brings back the team that broke all sorts of box office records back in 2012. Joss Whedon is back at the helm and while Age of Ultron is great fun and a blast just like last time, I do have a few things to nitpick. 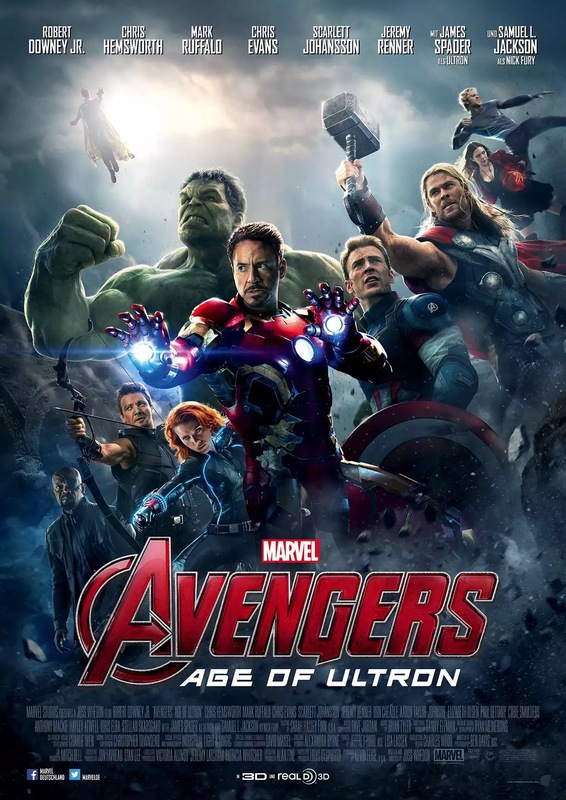 The film begins with a great action sequence of the Avengers in the middle of a mission. Once completed Tony Stark, along with Bruce Banner, work without the team knowing on Ultron, a peacekeeping initiative. Stark wants Ultron to protect the world from the threats that may be even too big for the Avengers. Since the movie would be over if it worked, it doesn’t. 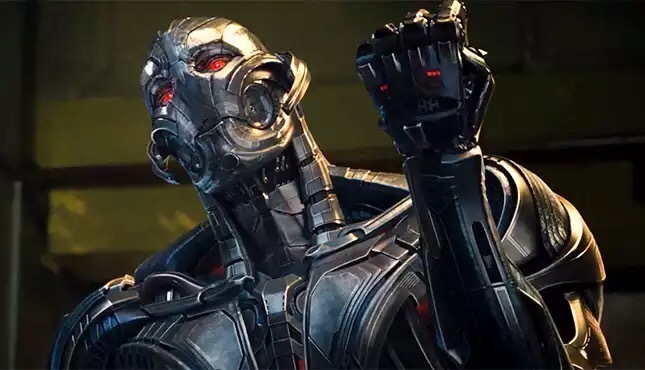 Ultron is brought to life and begins his plan for world wide extinction of humanity. As in the first film, the action leaps off the screen as if it’s a living comic book. I did miss the brighter cinematography of the original film however. This could have made things pop a little more. But it’s a small complaint. My biggest issue was with the editing of the scenes. As things got more intense, it felt harder for me to follow along the action. Yet what I did see, was amazing. “Hulkbuster” One guess who’s in THAT armor? Live action Hulkbuster? What else is there to say? I just wish I hadn’t seen in a million and one commercials and trailers first. That would have been a great surprise. I absolutely loved the amount of time we got to spend with the supporting cast. Black Widow is still a fan favorite, especially with her blooming romance with Bruce Banner. 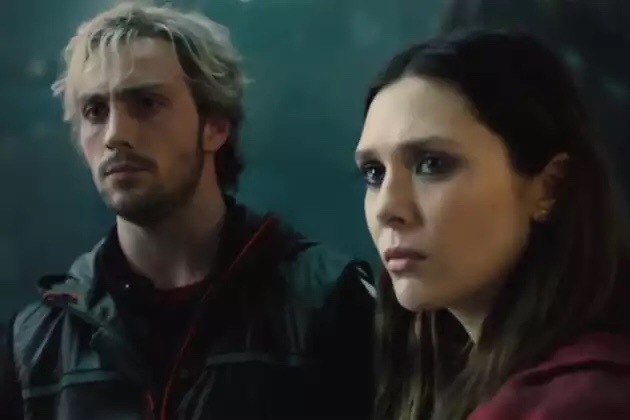 We meet the twins Wanda and Pietro, or Scarlet Witch and Quicksilver. Most of all we get to see more of Hawkeye, who we didn’t get much time with last go round. Even during the final battle we get to see Clint Barton in a brief moment of leadership. Plus we’re treated to a friendly rivalry between him and Quicksilver. I actually enjoyed the supporting cast more than the main core. I had a few other small issues. Nothing that I felt broke the film, just minor things for me. One thing was this film set up things to come even more so than others in the MCU. It felt a tad bit heavy handed towards the end. Again I liked the brighter cinematography of the last film, and I also felt that the action could be edited a bit quickly. In addition I missed Alan Silvestri scoring the film. Even though we hear the main Avengers theme, I wished there was something memorable to the score of this one. Danny Elfman does a fine job, but nothing stands out here. All in all, Avengers: Age of Ultron is exactly what you expect. It does not disappoint there. Thanks for sharing the review Vic! Doesn’t quite hit the heights of the first Avengers, but does its job. Fine review Eric. I really enjoyed this, but it’s not exactly what I was expecting. Thought it came with a different tone and was purposely darker. Great review. And one again thanks you Eric for the review.